Performing Communities is an inquiry into ensemble theater of inner-city Los Angeles, small-town northern California, African-American South, multicultural southern Texas, low-income central Appalachia, economically struggling South Bronx New York and cross-continental Native America. Robert H. Leonard is Professor of Theatre Arts at Virginia Tech and former artistic director of the Road Company, an acclaimed ensemble theater that produced two dozen original plays reflecting the issues of Central Appalachia. Ann Kilkelly is Professor of Theater Arts and Women’s Studies at Virginia Tech and a nationally recognized scholar and performer who created the Diversity Training Laboratory that uses performance techniques to examine diversity issues. Linda Frye Burnham is co-director of Art in the Public Interest and the Community Arts Network. She founded High Performance magazine and is editor, with Steven Durland, of The Citizen Artist: 20 Years of Art in the Public Arena. Jan Cohen-Cruz is Director of Theatre Studies in the NYU Tisch School of the Arts. 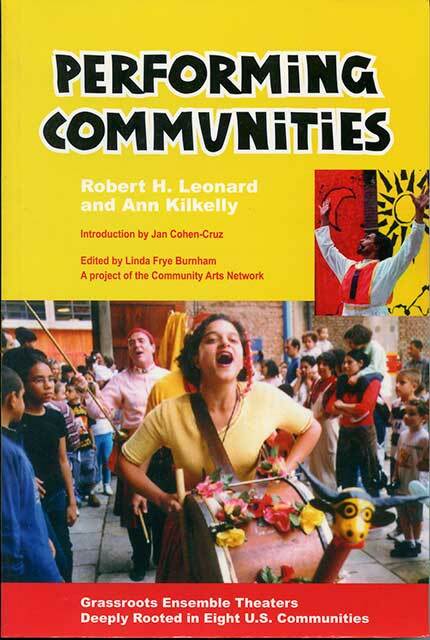 She is author of Local Acts: Community-based Performance In The United States (Rutgers University Press 2005).